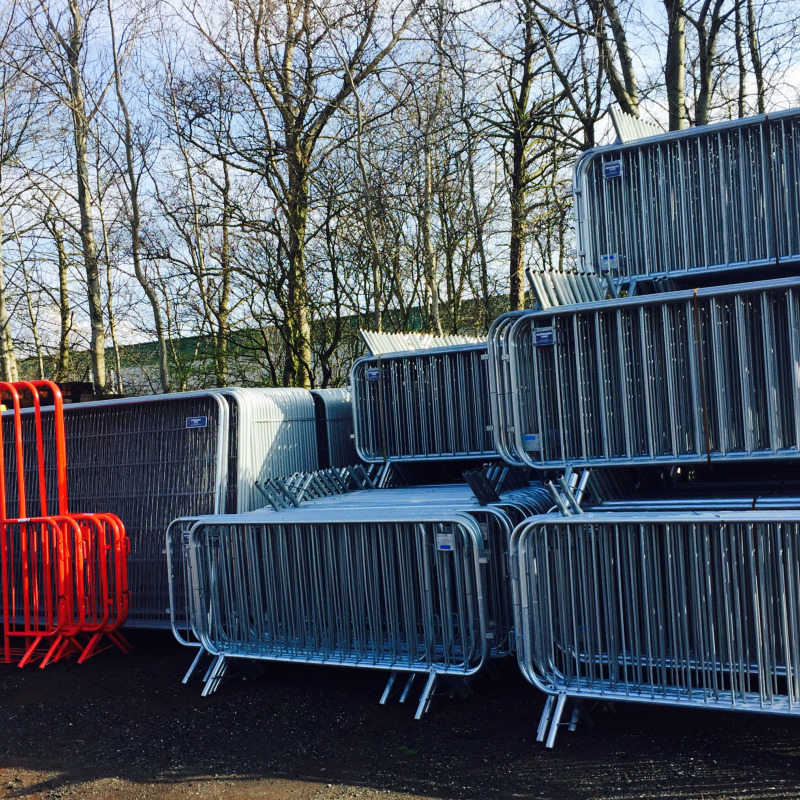 Ainscough Hire offers a range of site security fencing and crowd control barriers for hire. 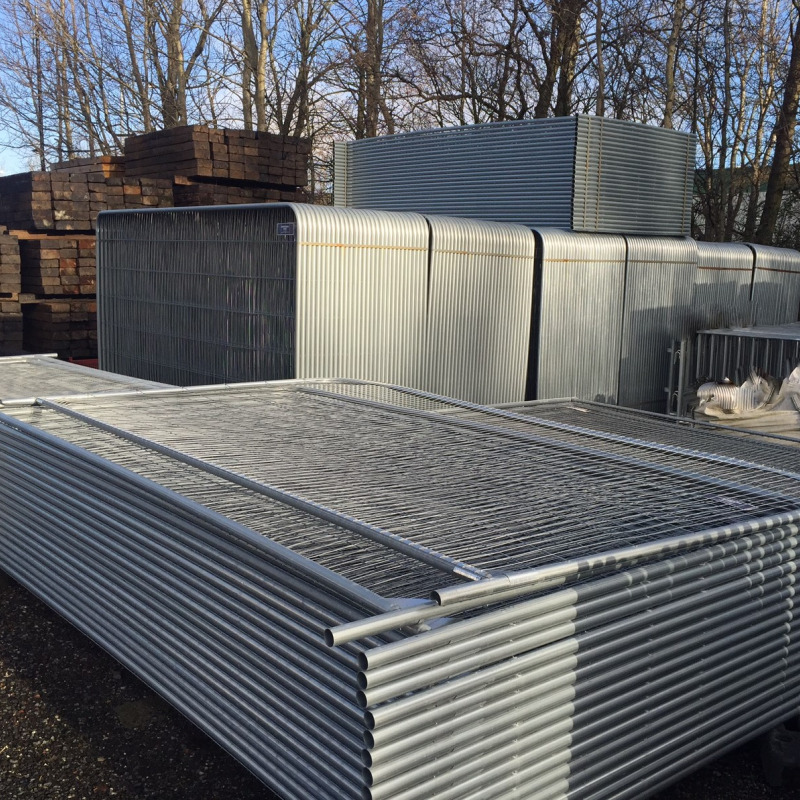 Utilising our site fencing hire is the best way to affordably secure your site or working area. 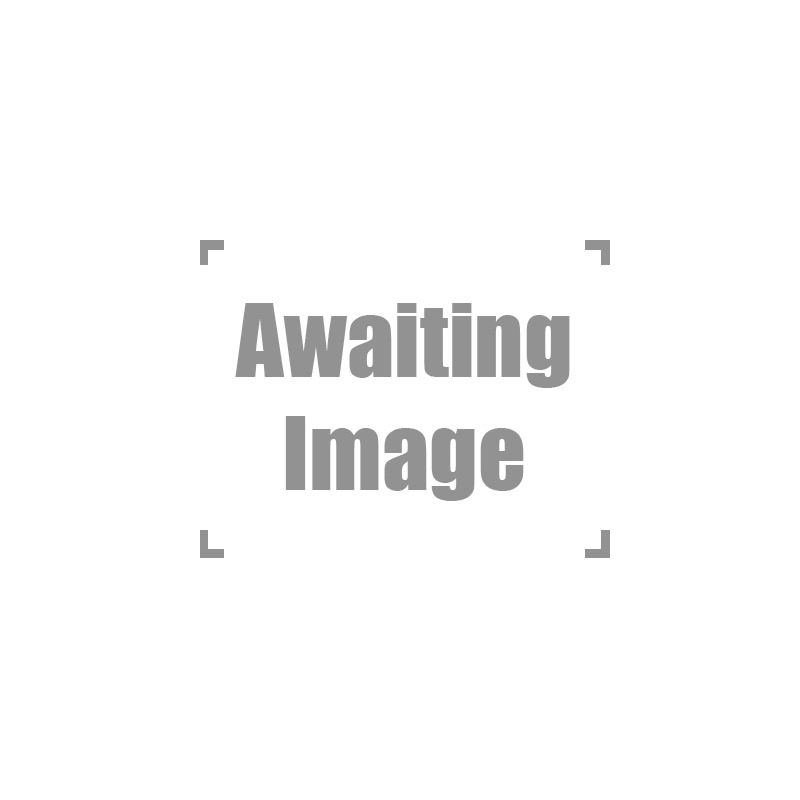 Easy to assemble high quality round-top heavy duty fencing, anti-climb mesh, with corner plates, double clips and standing block come as standard. Many site fencing accessories are available for hire including pedestrian gates, vehicle gates, stabilisers and block-trays. Standard specification: 3500mm long x 2000mm high, heavy duty tubing with a frame diameter of 38.1mm with corner plates with smartweld technology and a galvanised finish. Crowd control barriers are lightweight galvanised metal pedestrian barriers that provide a simple way to separate crowds or pedestrians from traffic or work areas. 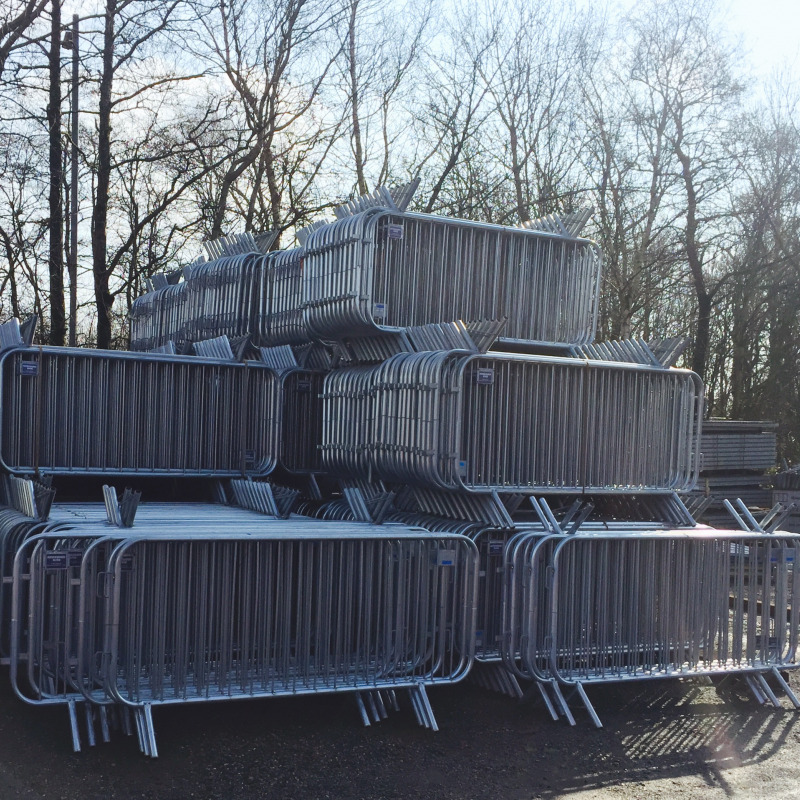 Our barriers are ideal for pedestrian control at construction sites, groundworks, leisure or sporting events, this product can be quickly installed and is ideal for marking out walkways. Our crowd control barriers are made of a solid tubular structure making it an extremely robust pedestrian control system. Standard specification: 1200mm high x 2300m long, with galvanised finish and hook & eye locking system. 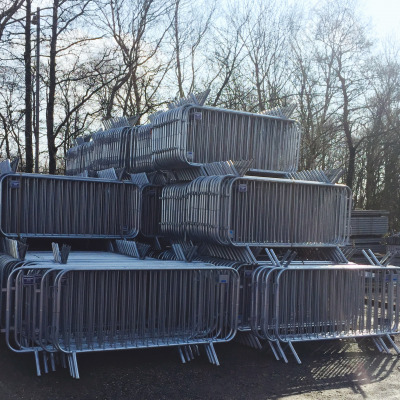 All fencing/ crowd barriers are subject to a minimum hire period of 2 weeks. Please note - All our hire rates listed are negotiable per pro length of hire and/or quantities required.